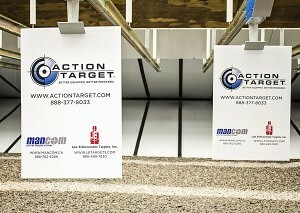 Action Target’s subsidiaries Mancom and Law Enforcement Targets provided equipment and targets for the new PCERJ range. PROVO, Utah – April 9, 2013 – Action Target recently installed a new shooting range in Brazil for the State Civil Police of Rio de Janeiro (PCERJ). This is the first range built by Action Target in South America and marks a milestone for the company as it continues to branch into international markets. The new range was purchased by the PCERJ in a push to increase training standards for state and local law enforcement, but will also support training for special operations units from other states around Brazil as well. 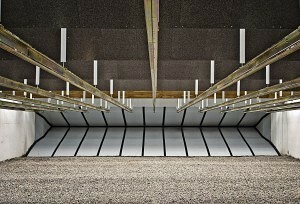 It features an open air 11-lane shooting range with user-friendly target retrieval systems from Mancom and a nine-room shoot house facility. To ensure bullet containment, the new range also includes a steel funnel bullet trap and safety baffles which provide ballistic protection for the shooting area. 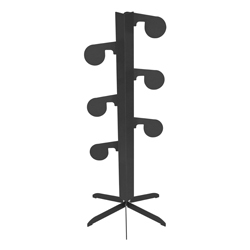 The range’s Total Containment Trap and safety baffles ensure that not one round will be able to escape. 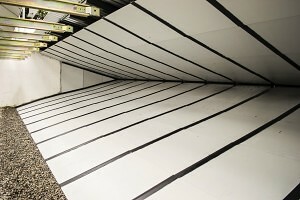 “There is no roof on the range to allow for natural ventilation, but the safety baffles we installed also make sure no rounds have the chance to escape,” White said. One aspect of the range that is especially important to the Brazilian government is its effect on the environment. The PCERJ range utilizes technology from Action Target to ensure lead dust and debris are safely contained and collected for recycling. 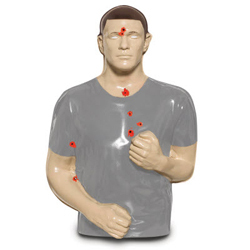 As a bullet strikes the armor steel plate of the Total Containment Trap (Action Target’s patented steel funnel bullet trap), it is forced through the small horizontal opening in the middle of the funnel. Once it has passed through the opening, the bullet enters the deceleration chamber where it spins until it loses energy. The bullet then falls into a trough where it is funneled into one of many plastic canisters. 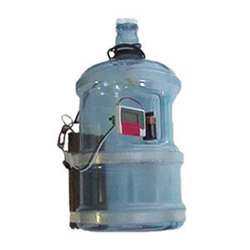 The Total Containment Trap uses a steel funnel design to safely capture fired rounds without introducing lead contamination into the environment. The threat of lead dust created by the impact of the bullet is also eliminated through a Dust Collection Unit which uses negative pressure to pull dust and air-borne toxins toward the rear of the bullet trap where it enters a filtering system. This system removed 99.98% of lead and other materials before the air is released into the environment. Brazilian officials are also grateful for the safety the new range will provide officers during training situations. The old facility often used wood as backstops for shooting drills and presented a significant ricochet danger for trainees. 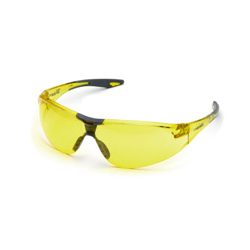 The new range allows for nearly limitless use of tactical weapons from handguns to fully automatic rifles with complete containment. That assurance makes for a healthy environment where law enforcement trainers can push officers to the limit without putting them in harm’s way. 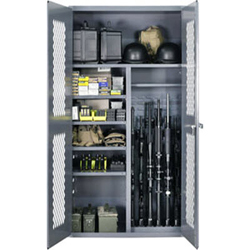 And Rio de Janeiro’s law enforcement officers will certainly be pushed to the limit as they run intensive tactical drills in the new nine-room Modular Armored Tactical Combat House (MATCH). Equipped with a catwalk and ballistic walls, law enforcement teams can now practice essential close quarter skills like room clearing and hallway navigation with live fire weapons while under close watch from above. The PCERJ range’s grand opening will be held at the end of June when it becomes fully functional as a law enforcement training facility, but tours have been ongoing for those attending the LAAD Defence and Security International Exhibition held this week in Rio de Janeiro.